… [A] federal judge declined to issue an order blocking a state law that requires doctors to get admitting privileges at nearby hospitals in order to perform abortions. The clinic’s license expired Tuesday, the day after an Eighth District Court of Appeals order allowing the law to be enforced took effect. U.S. District Judge Brian Wimes did not issue a restraining order or injunction blocking enforcement of the law during a hearing in Jefferson City on Monday. That leaves the Planned Parenthood clinic in St. Louis as the only location where women in Missouri may obtain a legal abortion. 10/2: A stunning and disturbing inspection of a Missouri abortion facility shows the disregard for patient safety at Planned Parenthood. The inspection came as lawyers went to court Monday to try to grant Planned Parenthood an exemption for Missouri state laws on abortion facilities, which include requiring the facility to be am ambulatory care center, and requiring abortionists have admitting privileges as local hospitals. If these exemptions are not granted by Tuesday, the abortion corporation’s Columbia affiliate will see its license expire. In anticipation of this, the state conducted an unannounced inspection of the Columbia Planned Parenthood just days ago on Sept. 26th — and the findings were stomach-turning: Operation Rescue reports, “What they found was frankly shocking. The facility’s suction machine, used to do approximately 14 abortion procedures each month, was in appalling condition.” The suction machine’s tubing contained black mold — and was still being used on patients. • Rusted suction machine cabinets that posed an infection control issue since they prevented proper sanitation. 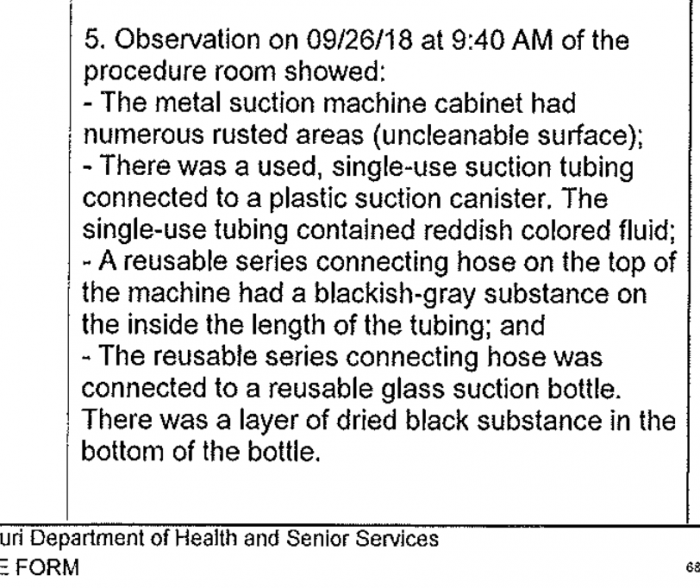 • Bloody single-use plastic tubing attached to the machine’s glass suction canister that was never disposed of after the last abortion procedure on September 21, 2018. • Reusable tubing on the top of the suction machine was contaminated with black mold. 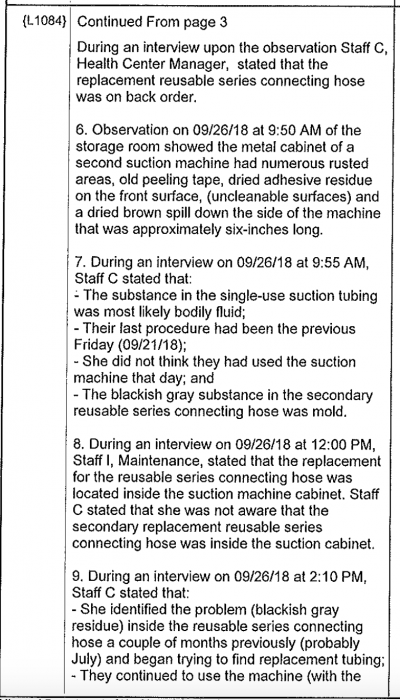 • Staff admitted that the moldy tubing had been present for some time and that abortions continued to be conducted with that moldy tubing in place. • A black substance that could have been mold or dried blood coated the bottom of the glass suction canister. Brandon Hill, CEO of Planned Parenthood Great Plains, released a statement after the hearing Monday. “We are doing everything we can to ensure that our patients know we are a resource during this difficult time as they struggle to determine their own next step in reproductive health care. We are hopeful that the Court will rule promptly, because women will be impacted immediately—and their constitutional rights ultimately violated—without this emergency intervention,” Hill said. Ironically, women are being impacted now, despite Hill’s assertions, because every time they come in contact with rusted machines and black mold, their preborn babies’ lives are in danger, as are their own. It’s stunning that a place calling itself a safe medical facility would have such a frighteningly dangerous inspection, and then assert that somehow Missouri state laws should not apply to them. The judge had not yet ruled by Monday night, but one has to wonder what question there could be. There are laws in place. 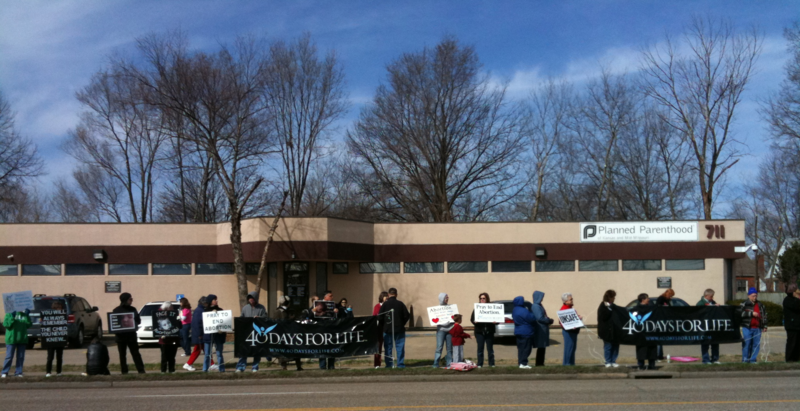 Planned Parenthood’s abortion facility does not meet the requirements of the law. That should be the end of that case. Sadly, as we have seen far too often, the safety of women is treated as less important than the ability to kill children.